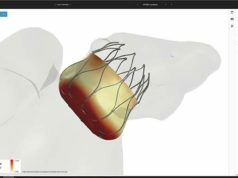 Boston Scientific has received CE mark approval for its Inliven cardiac resynchronisation pacemakers (CRT-P) for the treatment of heart failure. According to a company release, the new device is the first CRT-P that relies on a physiological parameter, respiration, to allow the pacemaker to follow the patient’s breath and help create an appropriate pacing rate. Following the CE mark approval, the first implants of the Inliven device took place at the Elisabethinen Linz Hospital in Linz, Austria, performed by Thomas Schwierz, in collaboration with Siegmund Winter, resident cardiologist at the same hospital. In addition to the RightRate minute ventilation technology, Inliven also provides APScan, for helping physicians identify patients at risk for severe sleep apnea. Sleep apnea is one of the most common comorbidities in patients with cardiovascular disease with 60% prevalence, and up to 80% of these patients remain undiagnosed. It is linked to increased risk for co-morbidities such as atrial fibrillation, heart failure morbidity and mortality, and sudden cardiac death. The Inliven CRT-P is compatible with the Latitude NXT Remote Patient Management System, which would enable physicians to conduct remote follow-ups of these device patients to monitor specific pacemaker information and comorbidity status.